With the enormous number of digital product and membership plugins available for eCommerce on WordPress today, we needed a plugin that was lightweight and not weighed down by an enormous system in our dashboards. 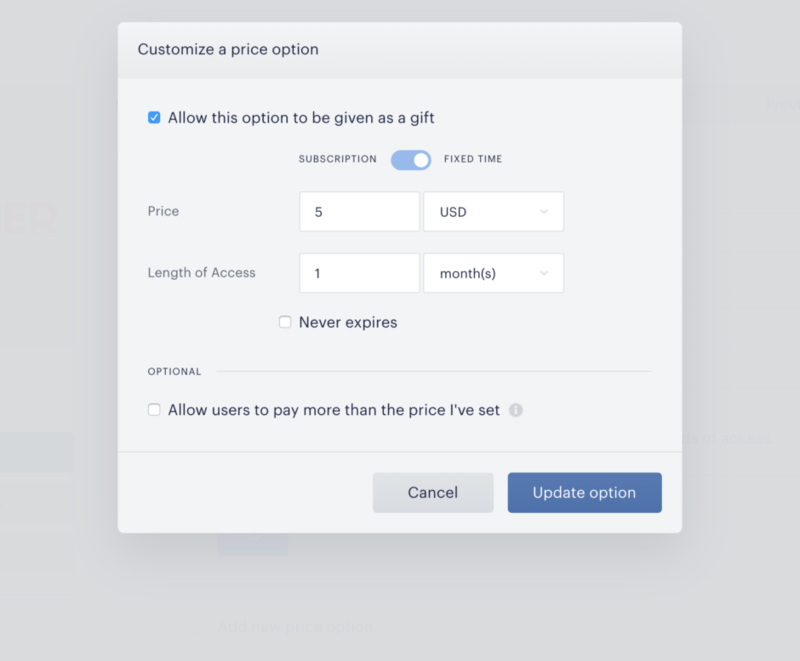 Frustrated by expensive extensions and eCommerce that just didn’t do exactly what we needed, we created the Recipe Paywall extension to eliminate the hassle. 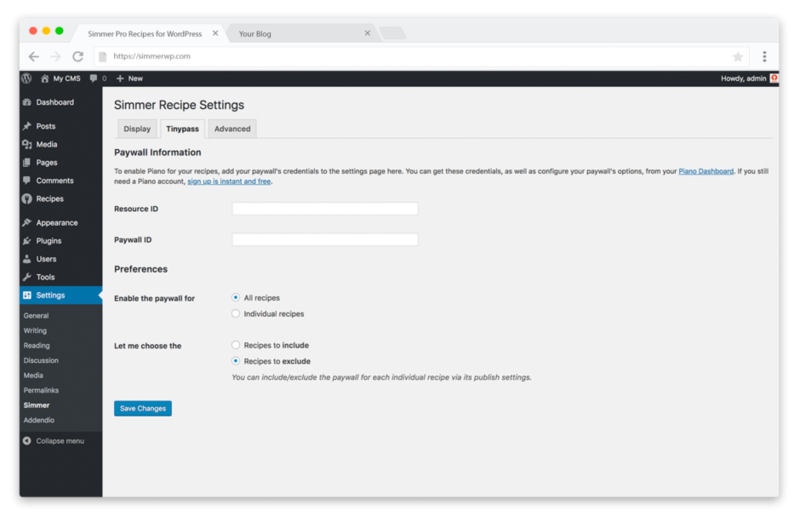 Instead of confusing payment gateways, complex settings, and added costs for custom development just to startup, with the Recipe Paywall extension you get an all-in-one eCommerce and monetization toolset for your Simmer Pro Recipes. 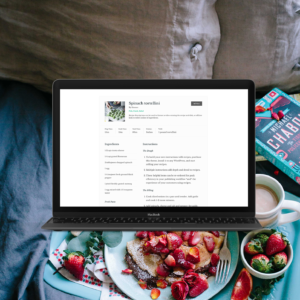 The Recipe Paywall extension is an easy-to-use and reliable WordPress plugin that gives you the content selling tools you need to grow your business and make more money. This plugin is designed to easily setup and run a successful content eCommerce program. Piano handles all billing and payouts to your bank account or financial institution. 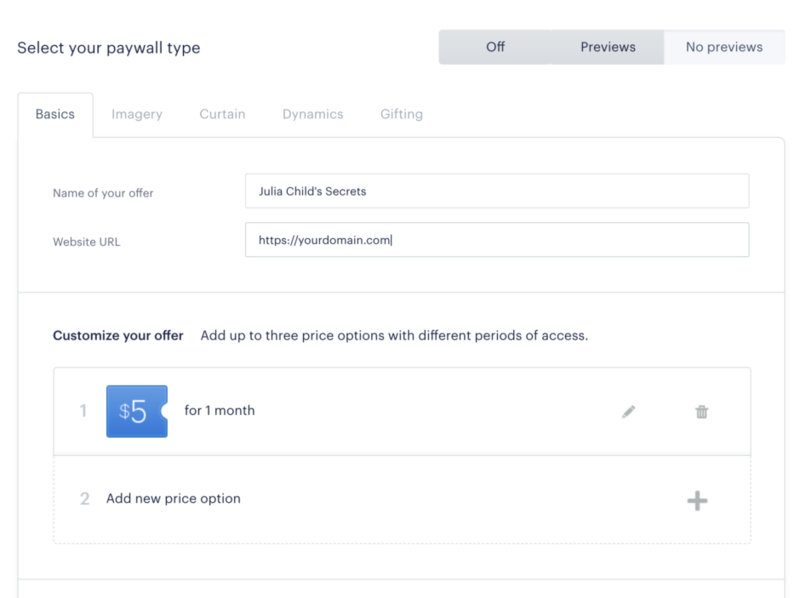 By eliminating the hassles and upfront costs behind most eCommerce tools, the Recipe Paywall extension allows you to spend more time on the important work of running your business and achieving profitability. 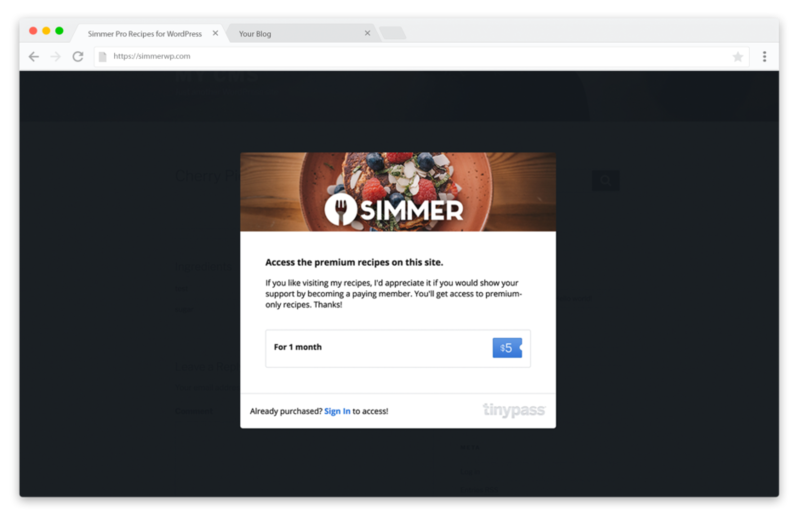 Simmer Recipe Paywall is powered by the innovative eCommerce platform at Piano (also known as Tinypass). 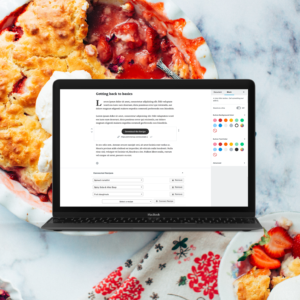 With this plugin and a publisher account, site owners can setup an instant eCommerce platform to monetize recipes. No other 3rd party payment processing, security, or changes to code are required to start selling recipes instantly. The options for controlling which of your recipes can be accessed publicly vs. paying customers only are endless. This plugin requires a Piano seller’s account to activate and setup. Instantly setup and register a free publisher account. Then, configure your new monetization with this plugin and your Piano/Tinypass Publisher dashboard. Embedded recipes cannot be restricted behind the Paywall. Instead, we suggest promoting emended recipes as promotional content to convert potential customers into paying ones. This extension modifies single recipes only, accessed via link, taxonomy, or the default recipe library. The Blog Only extension is therefore not compatible with the Paywall extension. Check the screenshots below for more details about the features included in this exclusive plugin extension for Piano and Simmer Pro Recipes. 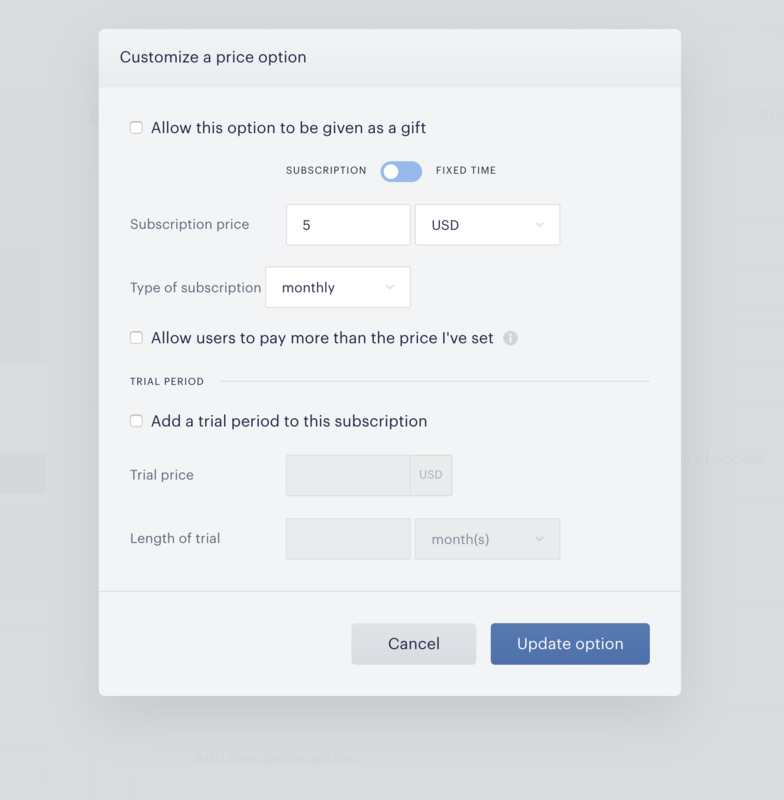 Recurring subscription payment settings selected with no trial, no donation pay, and recurring monthly. For complete setup instructions use our help site. This plugin requires Simmer Pro and WordPress. 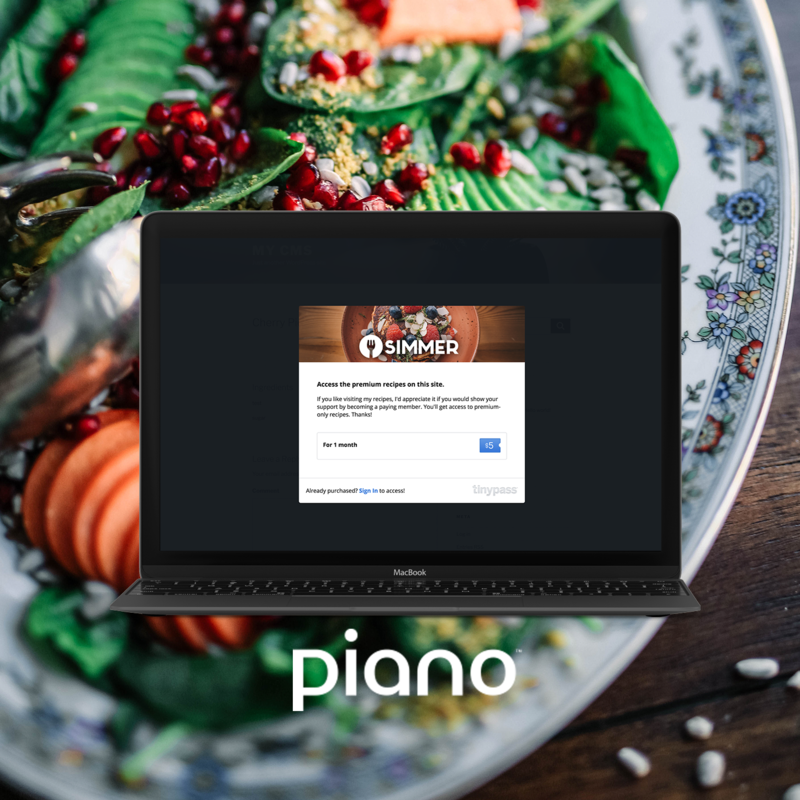 To enable Piano for your recipes, add your paywall ID and resource ID to the settings page under Settings > Simmer > Tinypass. You can get these credentials, as well as configure your paywall’s options, from your Piano Dashboard. Anyone can setup a Piano publisher account. That’s it! Enjoy the revenue from your new products and check for payouts and next steps from Piano to your account email address. For a complete list of questions and answers please visit this extension’s documentation. Click the button below to get pricing for the Simmer Recipe Paywall extension. If you have any questions or need further assistance please contact support.